If you're looking for a house with a lot of space inside and out - this is your home! Tastefully remodeled with all the necessities you need in your next home. Upscale kitchen with granite countertops and stainless steel appliances. The double oven is a must-have for anyone who cooks! Wide open floor plan allows you to entertain with ease. Have guests enjoy the party at the fancy breakfast bar, or still be apart of the festivities from the main living space. Tucked away behind the trendy barn doors is a fantastic formal dining/living space. 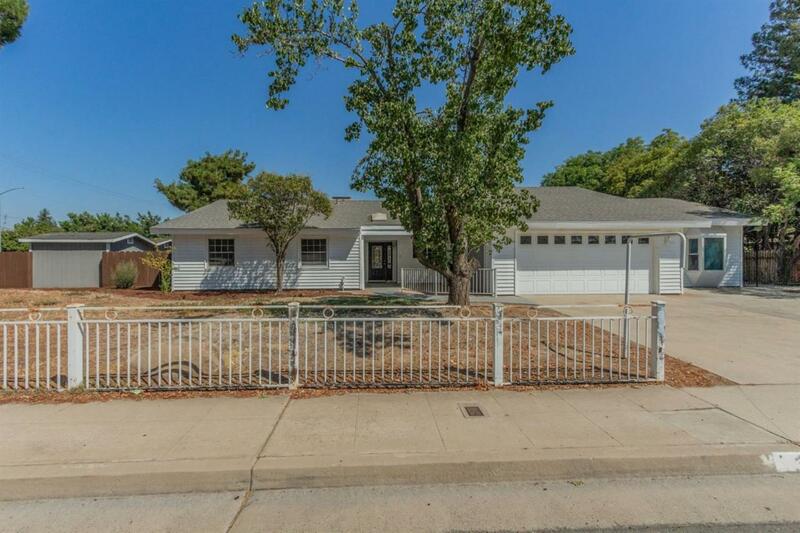 The home is 3 bedrooms but has a large room that can easily be used as a 4th bedroom with it's own private entrance. You could also use it as a game room or man cave. Every bedroom is a good size and the bathrooms both remodeled with granite countertops and luxurious tile throughout. The backyard has an abundance of possibilities! Crystal clear pool for the hot summer months, with enough land to enjoy the backyard all year long.